Here are the facts laid out as clearly as possible, backed by evidence, and finalized with an interview with the head of the FAA’s contrail clean-up crew: ACCRI. 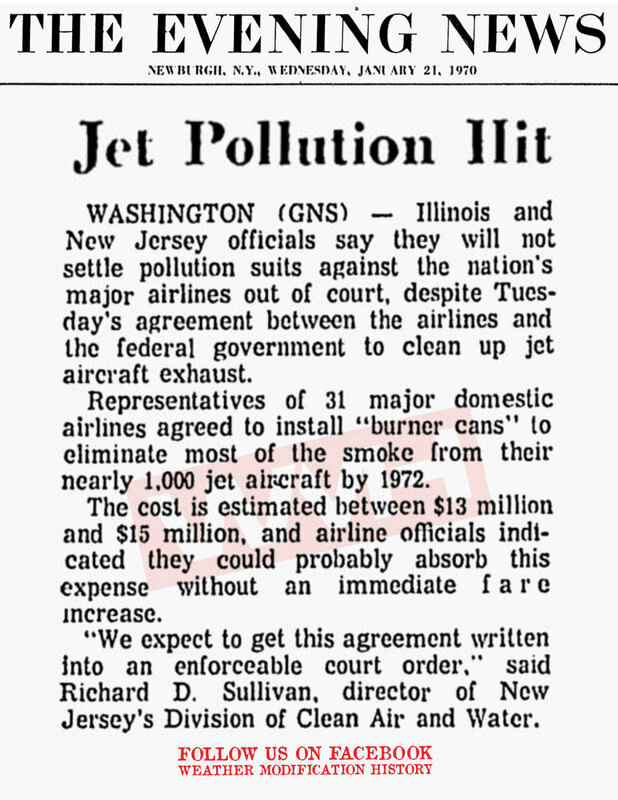 In 1970 the airline got sued by the state of Illinois and New Jersey for black belch (soot billowing from airports) and “smoke pollution of the skies.” Secretary of Transportation James Volpe mediated a discussion between the airline industry and the plaintiffs, wherein the airlines agreed to install “burner cans” in their jets. They claimed these redesigned combustors would reduce exhaust particles by 70% and this should results in cloud free days. Ten years later, Chicago skies were still blanketed with clouds. Apparently the lawsuit and subsequent burner cans had little effect on cloud creation. 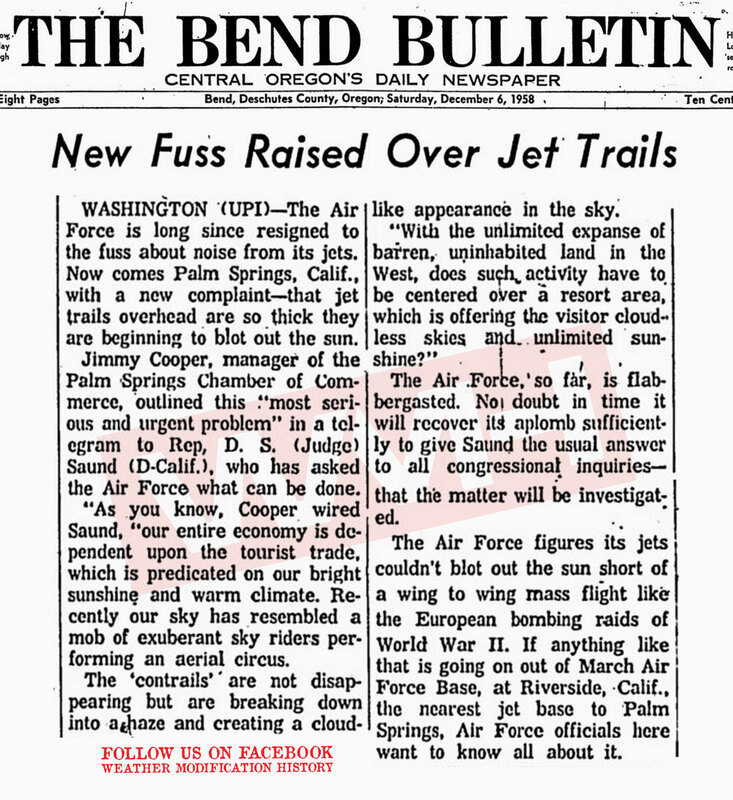 This video shows the mindset in pre-1980: contrail cirrus is a good thing! That was all fine until David Travis and company observed two F-16’s escorting Air Force 1 in an otherwise clear sky. This paper titled “Regional Variations in U.S. Diurnal Temperature Range for the 11–14 September 2001 Aircraft Groundings: Evidence of Jet Contrail Influence on Climate” made the case that contrail cirrus was actually trapping heat, making our nights warmer than they should be. CBS News aired the bad news in a piece titled “Sky Graffiti Warming Up Earth?” in 2006. Contrails are lines of exhaust left by planes. It can be fun to watch them as they crisscross the sky. But as Anthony Mason reports, some people think they could spell trouble for the planet. New research suggests that jet exhaust is four times better at trapping heat than ground emissions with contrails playing a critical role. Contrails form at high altitudes when hot jet engines pass through cold moist air. The clouds spread out trapping heat rising from the surface. Then a second chance to see how bad this contrail cirrus problem is: the 2008 eruption of Eyjaffjalljokull grounded all flights over the UK. 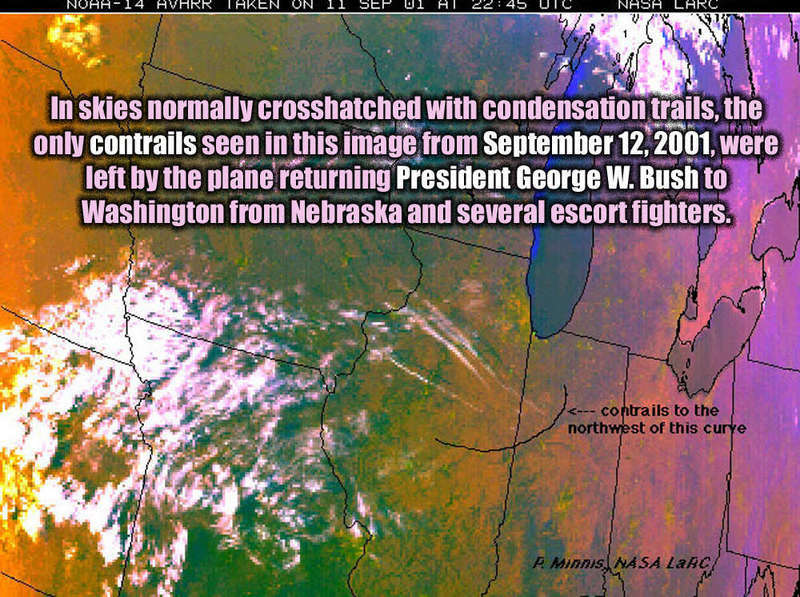 The pictures show satellite thermal images of the evolving contrail. This was from a case study published by Jim Haywood and colleagues. after all the data was analyzed there was an increase in temperature… that suggests that contrails cool the planet. 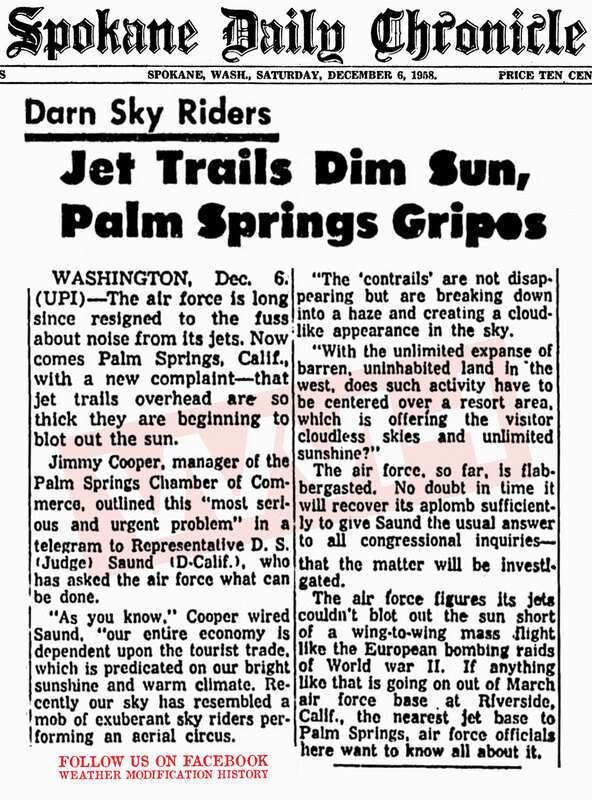 Finally in 2015 Chuck Long from NOAA’s ESRL CIRES dropped the bombshell: jet aircraft are creating ice haze that is brightening the sky, and this IS geoengineering….. accidentally. 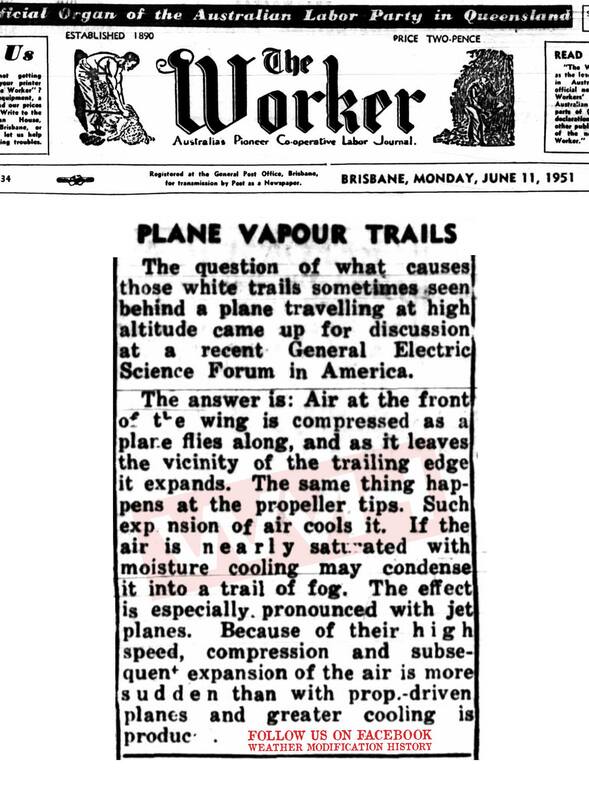 Long suggests that a high-altitude “ice haze,” created by water and other emissions from aircraft, is responsible. 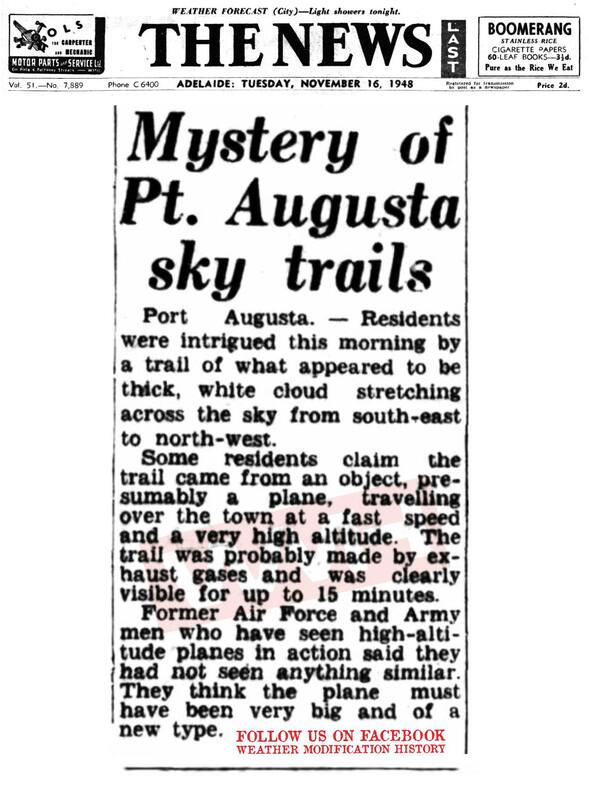 “I’m talking about a sub-visual contrail-generated haze of ice, which we do not classify as a cloud but gives blue sky more of a whitish tint.” Long said. Contrail cirrus clouds are always referred to as inadvertent or accidental, never intentional. All of that has changed. Scientists have come to the conclusion that contrail cirrus clouds cool during the day but they trap too much heat at night. 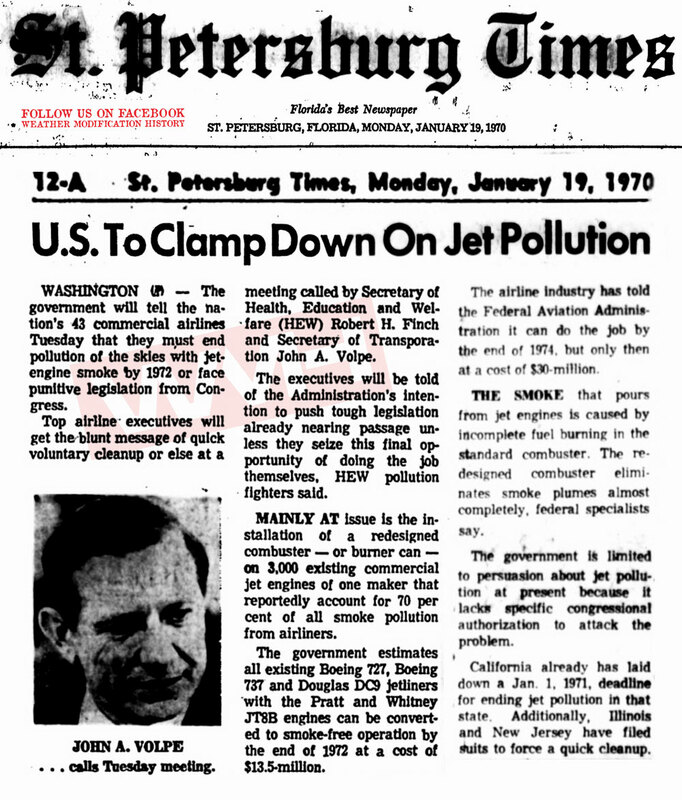 There is a major scramble for a contrail pollution solution due to the 9-11 and 2008 research papers and the looming carbon taxes faced by the airline industry. The leading candidate for contrail control is geoengineering the jet fuel. The idea is simple: change the type of cloud seeds (aerosols or cloud condensation nuclei CCN) coming out of the jet engines so they make clouds that do not trap heat. Generally speaking their plan is to reduce soot and add sulfur, this should make cooling clouds. If the airline industry can pull it off they can claim they are doing climate mitigation and get carbon credits (cash) for making clouds instead of paying a hefty carbon tax bill. I now present my interview with Dr. Rangasayi Halthore, head of the FAA Aviation Climate Change Research Initiative (ACCRI). He is also the head of the ACCESS flight experiments on biofuels and contrail control. Be sure to see the references I emailed the good doctor prior to our interview at the bottom of this article. I hope you will learn this material, get engaged in a real discussion about contrail cirrus pollution and the attempts to geoengineer these clouds. Trude Storelvmo, Yale University, New Haven, CT; and W. R. Boos and N. Herger, Cirrus cloud seeding: a climate engineering mechanism with reduced side effects? Philos Trans A Math Phys Eng Sci. 2014 Dec 28;372(2031). pii: 20140116. doi: 10.1098/rsta.2014.0116. FAA Scientist: We Want Clouds By Day, None By Night by Jim Lee is licensed under a Creative Commons Attribution-NonCommercial-ShareAlike 4.0 International License. Based on a work at climateviewer.com/. Permissions beyond the scope of this license may be available at climateviewer.com/terms.